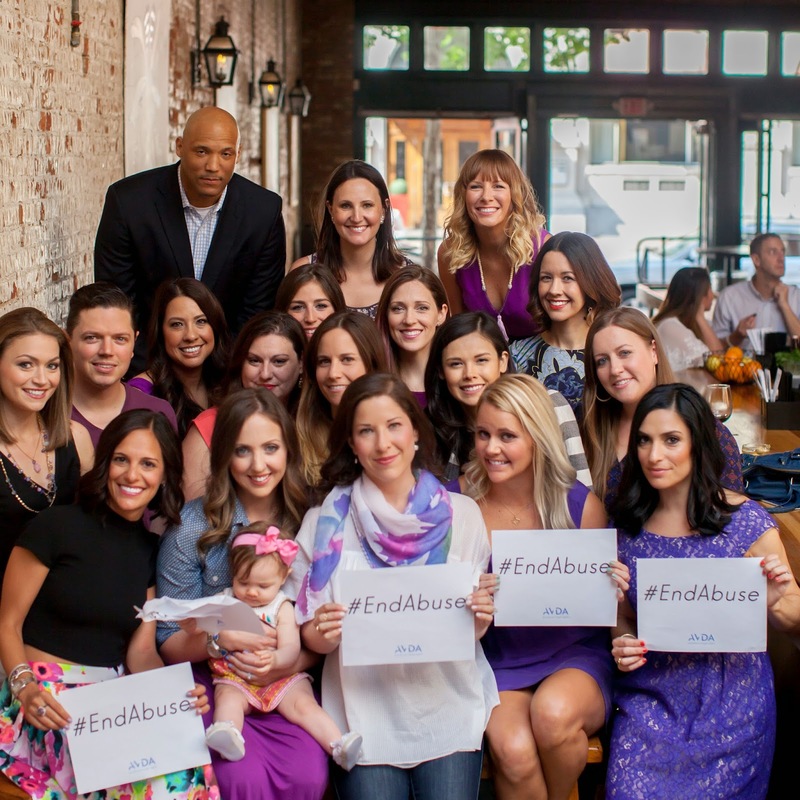 A few weeks ago, Esther Freedman, (founder of Cuteheads) gathered 18 Houstonians to educate us on domestic violence. While we all knew what it was, obvi, we didn't know that it happens to 1 in 6 woman. And that 119 Texas women died from it last year. Died. 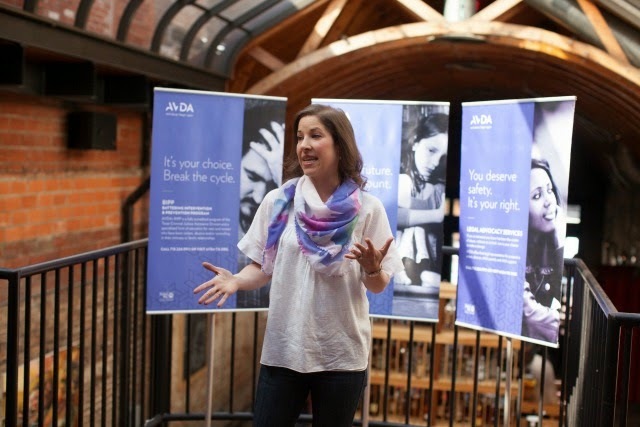 And we didn't know about ADVA, an organization that helps DV victims in a multitude of ways. From the monster that is Chris Brown, to the prolific NFL "issues", to the 21-year-old girl who bravely spoke to our group about her DV and AVDA experience - we need to do something about this epidemic. Allie, Beth, and I brainstorming on what we can do to help. Thankfully Esther isn't the type to round us all up and not have a solution. Photographer Ashely Cardoza was on stand-by to snap pics of us with signs that said #endabuse that we'll be posting on our social media accounts THIS COMING WEDNESDAY in order to raise awareness about both DV and AVDA in general. And guess what? We want you to do the same. 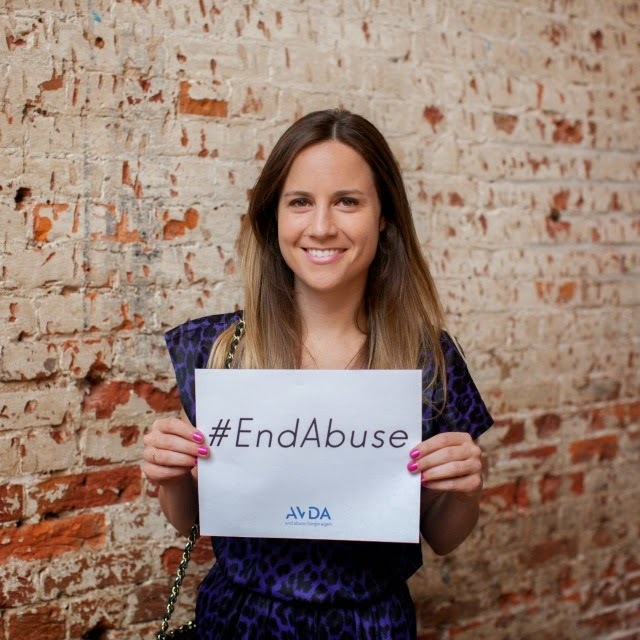 THIS WEDNESDAY take a selfie (or have someone snap it for you) with a sign that says #endabuse. Post it on all or one of your social media accounts with a link to the AVDA website and the #endabuse hashtag. I'm so proud to be part of this campaign. 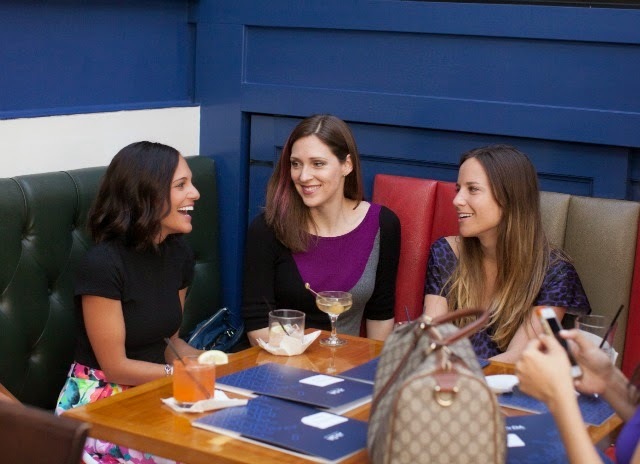 We're an eclectic group; fashion designers, meteorologists, shop owners, NFL players, sports writers, etc. but all Houstonians who want to use our voices to make some headway on this issue. 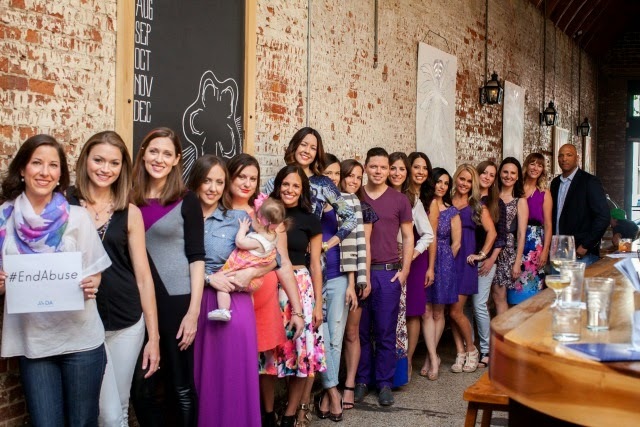 From L to R: Esther Freedman, Britta Merwin, Beth DeLozier, Meg Owen, Sarah Rufca, Allie Danziger, Carie Colbert, Monica Abney, Megan Silianoff, David Peck, Laura Max Rose, Anika Jackson, Candace Thomas, Jayme Lamm, Katie Laird, Kate Stukenberg, Aimee Woodall, and NFL Players Association Former Players President Joe Wesley. P.S. - I'm sending out a Mad Meg newsletter this weekend. Sign up to receive it on the Mad Meg homepage.